Turkish prosecutors opened cases against 120 people in one week and are investigating 600 more for their part in the 2013 Gezi Park protests, the biggest anti-government demonstrations since President Recep Tayyip Erdoğan’s Justice and Development Party (AKP) came to power in 2002, pro-government Hürriyet newspaper reported. The protests, which started as a small-scale peaceful sit-in to demonstrate against the proposed destruction of a small Istanbul park, quickly spread across the country, with many young people joining in to voice their discontent with Erdoğan’s Islamist government. Eleven people were killed and more than 8,000 injured as police used tear-gas, water cannon, baton charges and occasionally live ammunition to put down the protests. 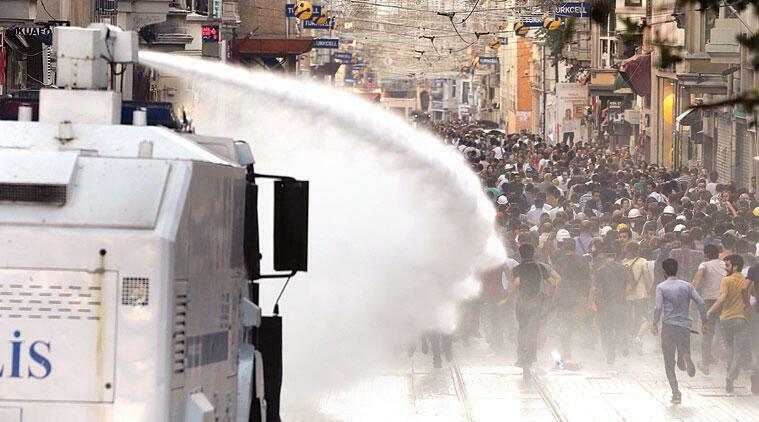 Erdoğan has said anyone supporting the Gezi Park protests, whether secretly or openly, also supports the Kurdistan Workers’ Party (PKK), an armed group that has been at war in Turkey for more than three decades, and the Gülen movement, which is blamed for the 2016 failed coup. Turkey designates both groups as terrorist organisations.